Indulge me for a moment and visualize this in lieu of an actual video feed, now imagine Auralee and I in matching plaid pyjamas with wine, lots of wine and all our our respective children put in bed, while having this discussion. I know it’s a fantasy but it’s a beautiful one isn’t it? More than anything, I really hope that readers simply enjoy Sidekick. I think there are messages in the book – the power of resiliency, the importance of discovering one’s own personal moral code, the significance of being an active player in life (especially for young women) – but, my main wish is to impart the fun I had in creating Bremy’s world. PD: If you had to do it all over again, would you change anything in your latest book? Come to think of it, something has been bothering me. While I was writing Sidekick, I took every opportunity I could to squeeze out some humour. One of the ways I tried to do this is through the exploration of stereotypes – every character, at first glance, is a stereotype to some extent. I would consciously build up the expectations of that stereotype only to spin them around and violate them, hopefully, when the reader least expects it…and hilarity, again hopefully, ensues. Bremy’s landlord, for example, is a Russian mobster, but I like to think he has a heart of gold even if he is always threatening to cut off her fingers. Granted, this type of humour isn’t for everyone, and, for the author, it is fraught with danger. The potential to offend lurks around every paragraph. That being said, I am not a fan of some of the alternatives. One would be to make all of my characters just like me in terms of race, gender and socio-economic class. That’s just silly and certainly doesn’t reflect the reality of my life…or anybody’s life. Another alternative would be to write every character who is of a minority or disenfranchised status as a paragon of humanity. I also think this is silly…and damaging. I’m much more of a tackle-issues-head-on kind of gal. Here’s where I messed up a little. In Sidekick, I wrote a stereotyped Maitre d’ who is gay. His appearance is brief, and I always intended to flesh him out as a person later on, but that didn’t end up happening until I started writing the sequel. So there he is in Sidekick all stereotyped up and left hanging. This doesn’t sit well with me, but hopefully readers will follow through to the sequel to get a little more insight into his character. PD: What were the challenges (research, literary, psychological, and logistical) in bringing it to life? I will admit that I am a wannabe computer geek, so I did do some research on hacking. Hopefully, I used the lingo correctly. As they say, any errors are mine and mine alone. PD: What are your ambitions for your writing career? I can’t imagine not writing, so I am grateful for any opportunity that gives me a platform to show my work. PD: Which writers inspire you? Ooh, another tough one. Different writers have inspired me at different times. In my teenage years, I was all about Stephen King – big shocker there…a teenager loving Stephen King. I still worship the ground he walks on, but my interests have broadened. 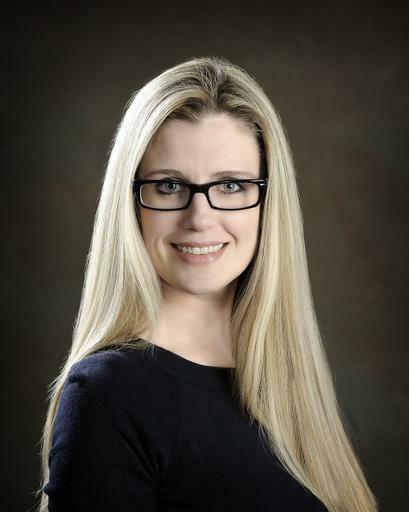 In my twenties, Laurell K. Hamilton dominated my reading list along with a number of dead English authors like Dickens and the Brontë sisters. Now I would say my interests are too broad to narrow down. Recently I have enjoyed books by Sherry Thomas, Beth Revis and Jonathan Janz. Sidekick is my first published manuscript. It has placed a finalist in three RWA competitions: the Virginia Fool for Love Contest, The TARA and The Catherine. PD: What are you working on at the minute? Currently, I am working on the sequel to Sidekick, which I’m very excited about. I find writing Bremy’s character feels a little like having Lucille Ball for a best friend. I never know what she is going to do next. Sidekick was about Bremy proving herself worthy to be Dark Ryder’s apprentice. But now that Bremy’s got the job, she’s about to find out that keeping it is a whole other issue. PD: What genre are your books? That has been a hard thing for me to pin down. Obviously, the main genre is “superhero,” but that’s not a concrete area in regards to commercial women’s fiction. 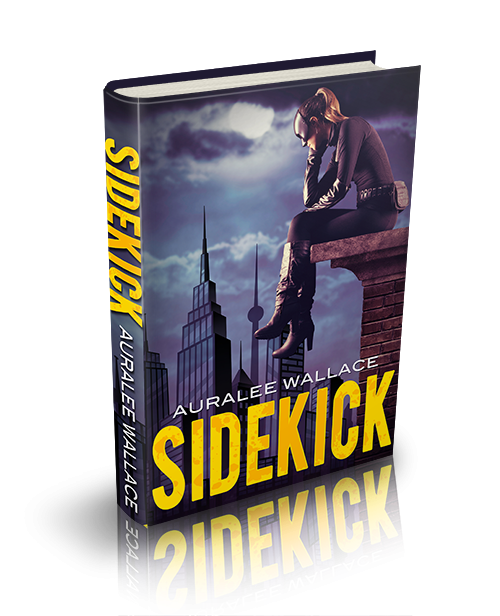 Sidekick could be classified as a kind of urban fantasy with romantic elements. I like to play with genre, but the enduring strain throughout all of my writing is the humour. I can’t seem to write anything that takes itself too seriously. PD: What draws you to this genre? I’m not sure I have ever met a genre I didn’t like. For me, genres are a little like having my own Holodeck on the Starship Enterprise. My imagination is captured by all sorts of stories. PD: How much research do you do? I wouldn’t call what I do research. It’s more that I pay close attention to things that I like. When I’m reading, if a book moves me emotionally, I like to dissect all of its elements to try to learn how I can recreate a similar experience in my own writing. PD: Do you work to an outline or plot or do you prefer just see where an idea takes you? PD: How do you think you’ve evolved creatively? I think it has taken me a long time to accept my comedic voice. Like millions of others, I would like to write like H.P. Lovecreaft, John Irving, or Amy Tan (I could go on and on), but that’s just not who I am. I have tried to write horror, but I end up horrifying myself. I have tried to write literature, but I usually end up sad. I have tried to write straight romance, but all the eye rolling I do at my own words, gives me a headache. I love reading books in all of those areas, but I can’t write ‘em. I’m not saying I will never end up in a place where I’d give another voice I try, but for the time being, I’m quite happy where I am. PD: Do you think that the cover plays an important part in the buying process? I think it does. I have a friend who has bought books solely on the basis of a pretty hair-style. Note: That friend was me, I was so moved by the cover of The Edge of Reason that I just had to buy it. Seriously who can beat a well executed French braid? PD: What are your thoughts on good/bad reviews? Doing a number of RWA contests before publishing my book has really taught me that I am not going to please everyone. My personal philosophy is to welcome criticism and ignore bashing. PD: What do you think of “trailers” for books? I love them. Some are certainly better than others, but I always enjoy taking a peek. I don’t have the skills to create one for myself just yet, but it’s on my To Do List. I always love connecting with readers! Interview at my friend Penny’s! I’m really excited for Auralee and all that this will bring! I’m looking forward to reading the finished product!